My daughter Kim needed something special on which to place the sculpture "Change of Heart". After looking at options that were readily available, I decided to make one. 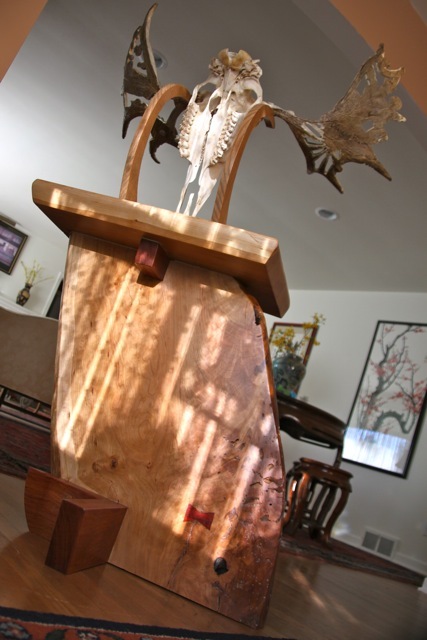 Referring to the George Nakashima book, The Soul of a Tree, making a slab pedestal became the most appealing option. Scroll down to watch the process from beginning to end. A view from the back side showing the completed pedestal with additional leg support. 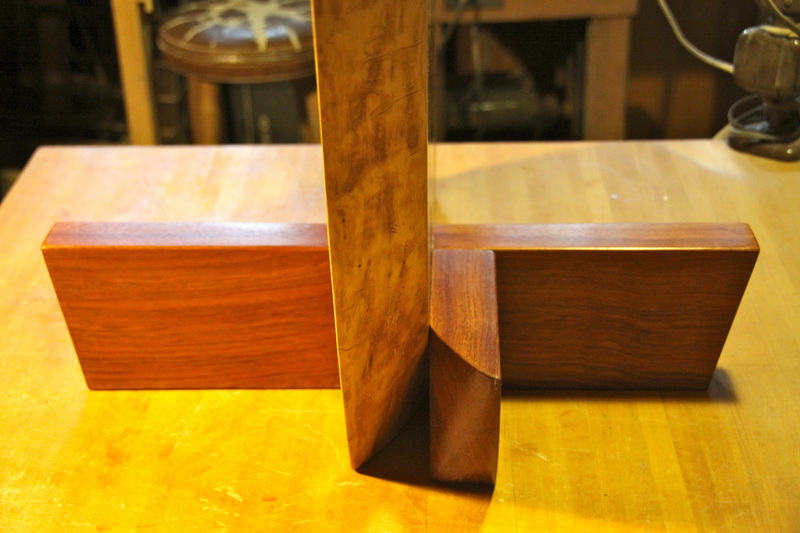 This shows the completed leg/base arrangement and the finished natural edge of the cherry slab. 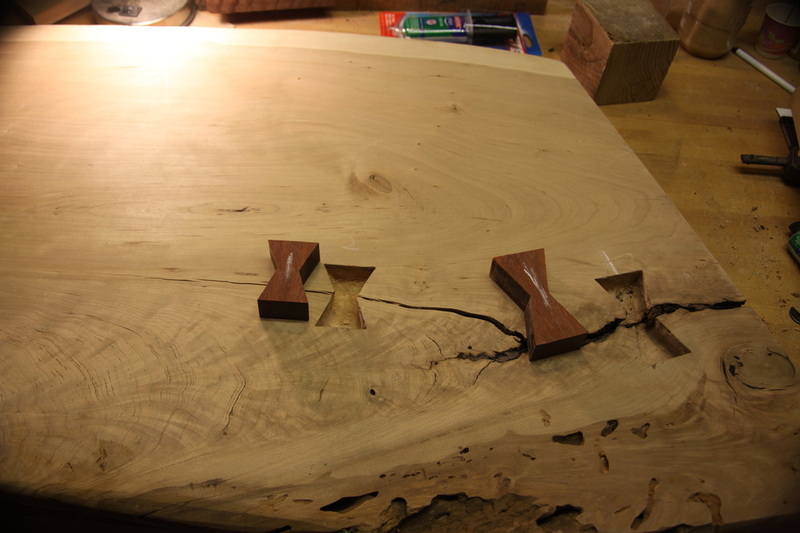 I used Brazilian cherry for the base legs, again, to compliment the beauty of the Ohio cherry slab. Because of the angle at which the slab tilts, I needed to design an extra support so the pedestal doesn't tip forward. 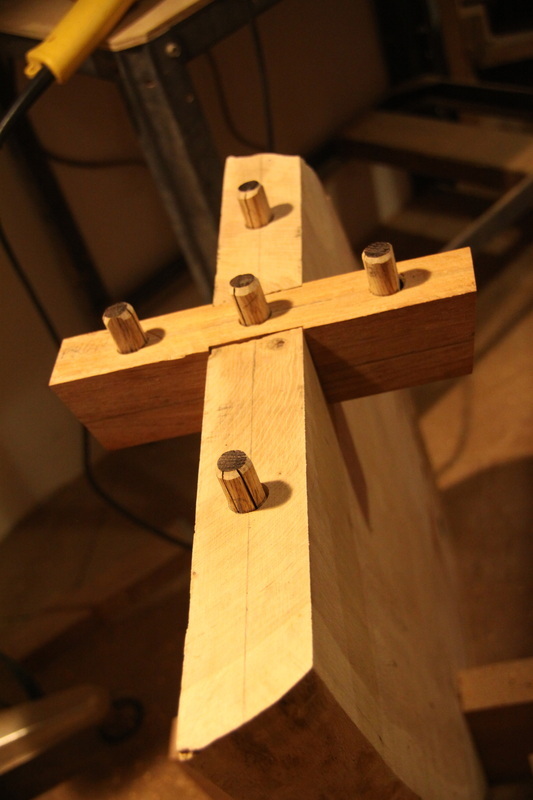 The holes are drilled for the oak dowels. The dowels were made from oak with a slit running lengthwise to account for expansion and shrinkage of the woods in changing Ohio climates. 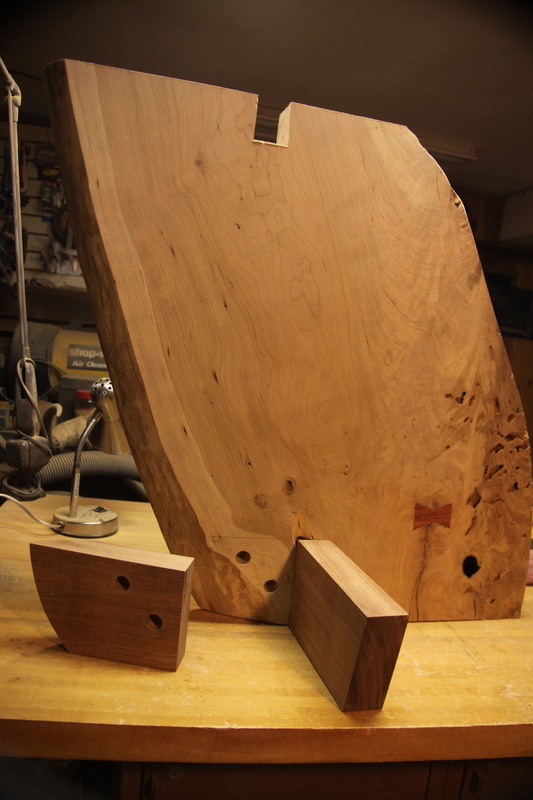 Looking at the bottom of the pedestal top, the holes are precisely measured to match the dowels from the base. 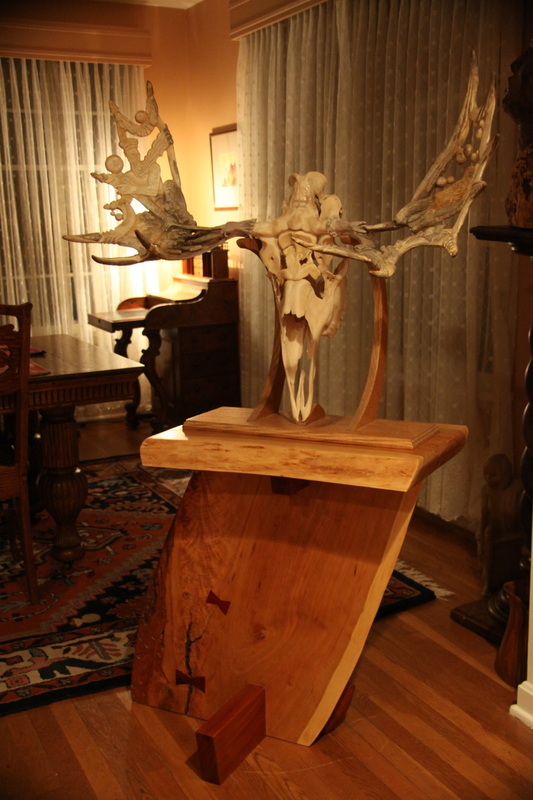 These 'butterflies' are made of paudak wood, a beautiful dense wood chosen to compliment the the native cherry slab. They are used as a decorative method of preventing cracks from spreading. 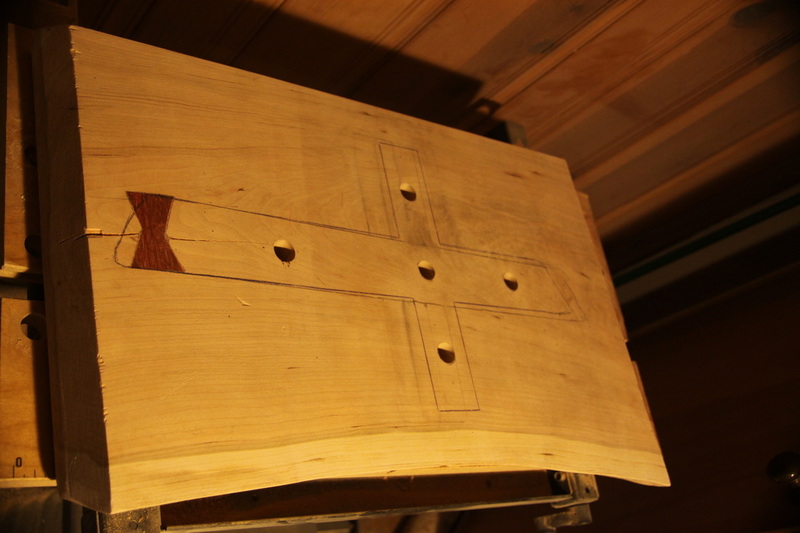 The holes were chiseled a routed out with a Foredom rotary tool for a precision fit. 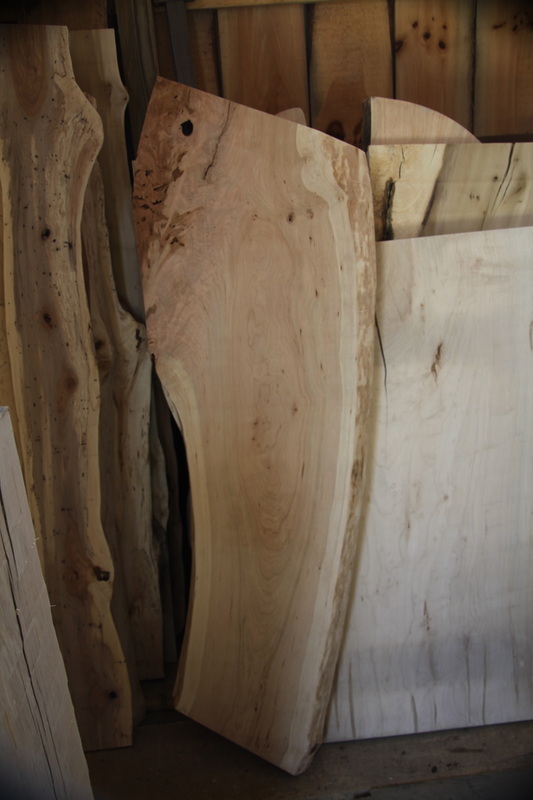 To begin the pedestal, I needed to locate a supply of wood slabs that were both remarkable and affordable. I found both after talking with Jared Coldwell at Ohio Woodlands. They can be reached at ohiowoodlands.com. My daughter and I selected this spectacular native Ohio cherry slab.